Delhi Police recruitment 2011 is notified for total 2622 Temporary Male Constables. Applications are invited from Indian citizens for the appointment to the post of Temporary Male Constable (Executive) in Delhi Police. No. of posts: Total 2622 posts are available. Vacancies for General candidates: Total 1311 posts are available. Vacancies for SC candidates: Total 402 posts are available. Vacancies for ST candidates: Total 201 posts are available. Vacancies for OBC candidates: Total 708 posts are available. Qualification : 10+2/Senior Secondary with LMV Driving Licence. SC/ST and Ex-serviceman candidates have not to pay any application fee. Candidates can download application form from the Employment News dated 29.10.2011. Any other form/mode of application forms will be rejected. Application should be sent through the ordinary post at Post Box No. 8020 Delhi – 110033 in the prescribed format. Delhi Police was formed in the year 1861 as the main law and order agency for the National Capital Territory of Delhi. The department was established after the adoption of the Indian Police Act. Delhi Police was a part of the Punjab Police until India gained independence in 1947. Four Delhi Police divisions were created in the year 1966. The department is headed by the Police Commissioner of Delhi. The department has total strength of more than 57500 persons working in it. NEO Cricket is the world’s first cricket centric TV channel and currently broadcasted in 27 countries including US and Canada. In England tour of India 2011 bilateral series, first ODI match would be between India - England on Oct 14, 2011 at 14:30 local time to be played at Rajiv Gandhi Int. Stadium, Hyderabad. watch Neo Cricket live streaming online from the BCCI TV. The England cricket team will tour India from 14 October to 29 October 2011. England tour of India 2011 will consist of 5 ODI and 1 T20 match to be hosted by India in October 2011. The England tour of India 2011 bilateral series is a part of Future Tour Programs prepared by International Cricket Council (ICC). 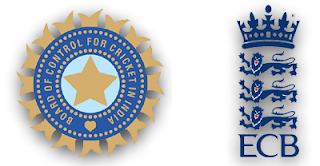 India will host this bilateral series, beginning on October 13, 2011. India: Mahendra Singh Dhoni (c & wk), Gautam Gambhir, Ajinkya Rahane, Parthiv Patel, Virat Kohli, Suresh Raina, Ravindra Jadeja, R Ashwin, R Vinay Kumar, Umesh Yadav, Praveen Kumar. England: Alastair Cook (c), Craig Kieswetter (wk), Jonathan Trott, Kevin Pietersen, Ravi Bopara, Jonny Bairstow, Samit Patel, Tim Bresnan, Graeme Swann, Steven Finn, Jade Dernbach. 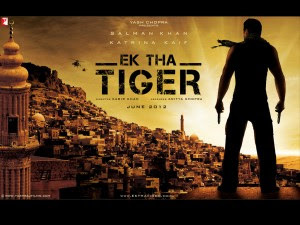 Ek Tha Tiger is an upcoming Bollywood romantic thriller Film is directed by Kabir Khan and produced by Yash Raj Films. the story of Ek Tha Tiger is written by Aditya Chopra, this is first time that Salman Khan doing a movie under Yash Raj Banner. The Bollywood Dream Jodi "Salman khan & Katrina Kaif" are starring the movie. 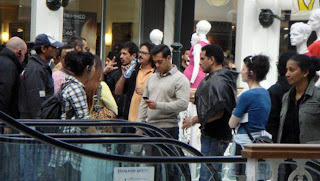 In Ek Tha Tiger movie Salman will be playing a role of an undercover agent of the Indian intelligence agency RAW. This film began on August 10, 2011 and the film is set to release next year (mid 2012). Ek Tha Tiger tells the story of a Trinity College scientist suspected of selling missile technology secrets to Pakistan. The Indian government sends a secret agent, codenamed Tiger (Salman Khan), to find out about the professor's activities. Tiger falls in love with the professor's caretaker Zoya (Katrina Kaif) who is studying at a fictional dance academy located at TCD, and together they embark on a rollercoaster journey that takes them from Dublin to Istanbul, Kazakhstan and Chile. The film Music by will be composed by Sohail Sen and the lyrics will be penned by Neelesh Misra this movie Track list are very soon. 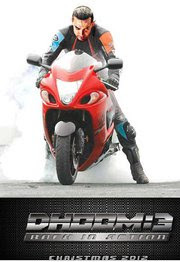 Dhoom 3 is the latest Upcoming hindi movie. produced by Aditya Chopra under Yash Raj Films banner, directed by Vijay Krishna Acharya, music for Dhoom 3 Movie is composed by the popular bollywoo music director Pritam. Dhoom 3 starring Aamir Khan in a negative role and Abhishek Bachchan and Uday Chopra in their old avtaars and Katrina Kaif is also part of Dhoom 3. 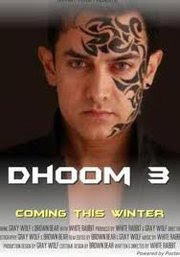 As we know Doom movie is popular for negative role action heroes played by John Abraham & Hrithik Roshan in past, And this sequel its going to be the – The Aamir Khan will perform as con-action hero in Dhoom 3. 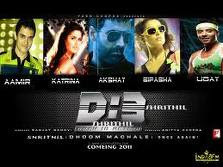 Dhoom 3 estimated budget is 100 crores Rs. Plot of Dhoom 3 is same as of previous Dhoom movies in which Abhishek Bachchan and Uday Chopra will play role of police officers and this time Aamir Khan is their target.